Nose: Sweet, sherry-like. Apple juice, Barlett pear. On the palate: Sweet on initial entry, fading to bitter, herbal but nothing specific. Finish: Sweet, juicy, long and bitter. Mixed: Makes a fine, very herbal, martini or Rob Roy. Parting Words: This is the first vermouth I’ve reviewed. I’ve reviewed mixers in the past but not very much. I drink more cocktails in the summer so I figured this week was as good a time as ever review another. This vermouth was not as bad as some folks on the internet (besides me) seem to think. Not being familiar with the pre-2009 formula, maybe I’m not in a good place to judge, but it wasn’t bad. I like the herbal edge it adds to martinis. And it’s very cheap. 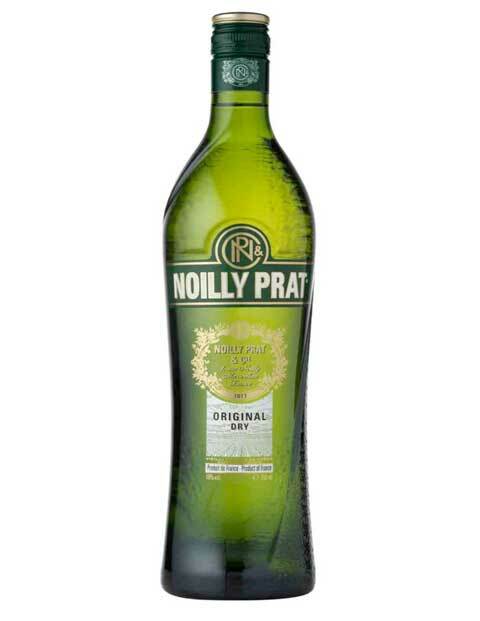 Noilly Pratt Original French Dry gets a recommendation. We were just talking about this yesterday during a brief stroll through a PA State Liquor store. I don’t really use vermouth very much since I rarely make cocktails. I enjoy cocktails, but their a bit too much work, so I usually just stick with a beer, glass of wine, or some other fine spirit. I have heard that this is much better than the Martini & Rossi or Stock vermouth (the red and the white) and the price is definitely right. Have you tried the red in a Manhattan? Yes I have. It wasn’t as distinctive as the dry, but definately better than the Martini & Rossi and light years better than the Stock. The Punt Y Mes is also highly regarded as a Red Vermouth, but I’ve never tried it. Aha! Punt Y Mes. That’s the other one I’d heard of, but couldn’t remember the name. This vermouth is not completely terrible, it’s just that it could be so much better. Drink this one side by side with Dolin or Vya and you will instantly understand the problem; it’s not terrible on it’s own, it’s just mediocre compared to the good stuff. After all, your drink is only as good as the worst thing you put in it. Don’t get Vya around here, but I will pick up Dolin when my current, weird Spanish vermouth runs out. Currently have the Dolin red open. It’s very nice.